Action Mental Health (AMH) warmly invites local residents to Clotworthy House, where three portraits from talented artist, Ross Thompson, will be auctioned to raise funds for the charity. 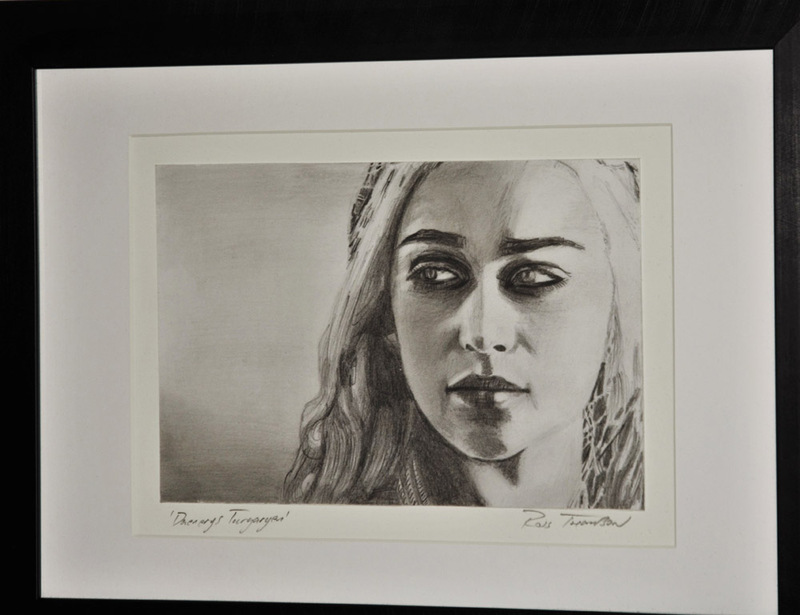 Entitled “Calibre 22” the event will take place on 10 October, when three multi-medium artworks depicting some of Northern Ireland’s most famous faces, such as Seamus Heaney and Queen Daenerys Targaryen from Game of Thrones, will be auctioned. Ross Thompson will also be showcasing other pieces of art as part of his “Art as Therapy” exhibition. Harnessing his personal journey of mental resilience and recovery through the medium of pencil sketching and copper plate work, Ross is celebrating his return to art and design. “I have experienced a number of traumas which left me questioning whether life was anything more than an endurance test. I found it extremely hard to cope both emotionally and psychologically as every aspect of my life was impacted by my mental ill-health, including my relationships and career. Located on Steeple Road, the New Horizons division of AMH (which is part-funded through the Northern Ireland European Social Fund Programme 2014-2020 and the Department for the Economy) provides support to those experiencing mental ill-health by aiding their recovery through employment, volunteering, training and advice. 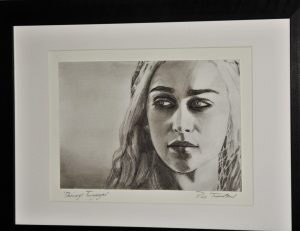 Ross, who studied graphic design in Edinburgh, now works as a freelance artist in his home town of Coleraine. “Art can often be the key to unlocking motivation and positivity for people who have low self-esteem and poor mental well-being. “New Horizons therefore provides a supportive, encouraging and safe environment where everyone has a voice and a creative platform to express themselves and support each other through their journey. The exhibition will be on display in Clotworthy House, Antrim. To take part in New Horizons Employment Program email jdavis@amh.org.uk or call 028 94428081.